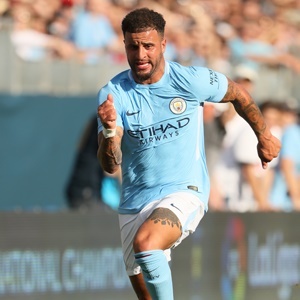 Cape Town - Manchester City defender Kyle Walker has described Pep Guardiola's training sessions as more technical than what he experienced during his time at Tottenham Hotspur. The England international completed his transfer from Spurs to City in the off-season and admits he has had to adjust to the intensity of Guardiola's training. "Here a lot of the work is technical. If you had asked me this at Tottenham, there was a lot of gym, running - a lot of volume work, as they call it there," he told the Sunday Times. "You lose the ball in training here and you’re not seeing it for five minutes. It’s frustrating. I’m losing my head, hunting the ball down, trying to rattle people, but (Pep Guardiola) teaches you just to look after the ball. "It must be horrible to play against this team. It’s a joy to be part of it." City has been in imperious form this season. They are still unbeaten and currently enjoy an eight-game winning streak in all competitions.